The spacecraft is expected to settle on the lunar nearside. In the history of space exploration, only the U.S., Russia and China have landed a spacecraft on the moon. That could change on Thursday, when an Israeli probe now in orbit around the moon attempts to settle on the lunar surface. 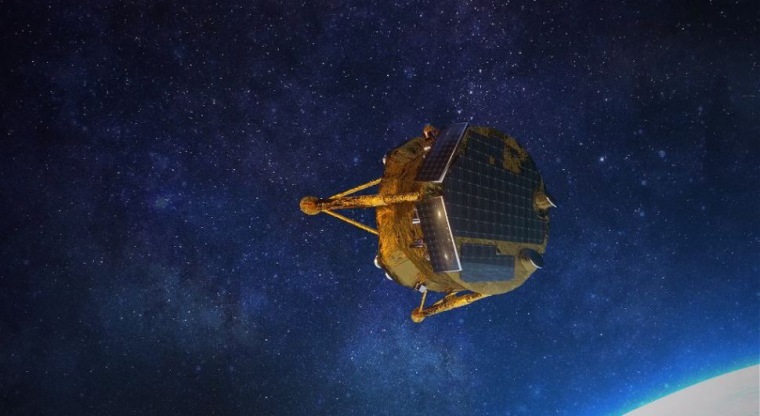 The Beresheet space probe is scheduled to touch down between 3 p.m. to 4 p.m. ET., settling on a vast lava plain on the lunar nearside known as Mare Serenitatis, or the Sea of Serenity. The landing will be livestreamed by SpaceIL, the Israeli nonprofit organization behind the mission, and Israel Aerospace Industries, the company that built the four-legged spacecraft. If all goes well, Beresheet — the name means “genesis” in Hebrew — will not only be the first Israeli spacecraft on the moon but also the first privately funded one to reach the lunar surface. Its landing site is about a few hundred miles east of the Apollo 15 landing site and roughly the same distance northwest of Apollo 17’s landing site, according to a statement by the Israel Ministry of Foreign Affairs. The $100 million spacecraft is about the size of a washing machine. It launched into space aboard a SpaceX Falcon 9 rocket on Feb. 21 and slipped into lunar orbit on April 4. On Tuesday, the lander fired its engines for 78 seconds to tighten its orbit around the moon. “Beresheet entered a circular orbit of 200 km above the moon and will circle it once every two hours,” SpaceIL officials tweeted. In addition to cameras, Beresheet is equipped with a magnetometer that will be used to measure the magnetism of lunar rocks. This could help scientists understand when and how the moon acquired its magnetic field, according to Oded Aharonson, a professor of planetary science at the Weizmann Institute of Science in Rehovot, Israel, who is leading the mission’s science team. The Beresheet mission was originally part of the Google Lunar X Prize competition, which offered a $20 million grand prize to the first privately funded team to land a robotic craft on the moon, drive at least 500 meters and beam back photos and video. The competition expired last year without a winner, but its sponsor, the Culver City, California-based X Prize Foundation, announced in March that it would award $1 million to SpaceIL if the Beresheet landing is successful. Want more stories about spaceflight?